Samuel Richardson (August 19, 1689 – July 4, 1761) was a major eighteenth century writer, primarily known for his three monumental novels Pamela, Clarissa, and Sir Charles Grandison. Richardson is widely considered to be the inventor of the epistolary novel—that is, a novel written in the form of a collection of letters and other correspondence between the principal characters—and all three of his novels utilize the epistolary form. Richardson's style and rather stoical, moralizing tone would become hallmarks of eighteenth century fiction; he is undoubtedly the most influential novelist of his generation, and literally hundreds of writers would imitate (or, in the case of Henry Fielding, parody) his writings. Due to his antiquated tone and the sheer length of his novels, Richardson has not fared quite as well as some of his contemporaries among modern-day audiences; although his works are still beloved by many readers, and although critics will point out that his mastery of eighteenth century English prose is almost unrivaled, Richardson is still very much a product of his times. His works, long and often didactic, do not possess the timelessness of such novelists as Sterne or Defoe. Nonetheless, Richardson is one of the most important authors of his period; his influence on subsequent novelists such as Jane Austen was immense, and virtually no author of fiction in the eighteenth and early nineteenth century could escape Richardson's lengthy shadow. Richardson was born in 1689 in Mackworth, Derbyshire. His mother Elizabeth was a woman “not ungenteel” and his father was a tradesman from Surrey, described by his son as “of middling note." As a boy he apprenticed in a printer’s shop, where he earned the nicknames “Gravity” and “Serious.” Indeed, by all accounts Richardson was, from an early age, the sort of grave, fastidious fellow he would write about in his novels. Richardson received little formal education and in 1706, at the age of 17, Richardson was forced to begin a seven year apprenticeship as a printer under John Wilde, an employment that Richardson felt would “gratify my thirst for reading.” By 1715 he had become a freeman of the Stationer's Company and citizen of London, and six or seven years after the expiration of his apprenticeship set up his own business as a printer, eventually settling in Salisbury Court. In 1721 Richardson married Martha Wilde, the daughter of his former employer. His wife died on January 23, 1731, following the deaths of five of their six children. The last child survived its mother by only two years. In 1733 following the death of this child, Richardson remarried. His second wife Elizabeth was also a daughter of a former employer, John Leake. Together they had six children, another two of whom would die in infancy. Four of their daughters reached adulthood and survived their father. Richardson's personal life has always been marked by literary critics as particularly grim; few writers experienced quite as much death and private sorrow as Richardson, and no doubt these experiences influenced the somewhat somber tone of his later writings. In 1733 Richardson wrote The Apprentice’s Vade Mecum, urging young men to be diligent and self-denying. Written in response to the “epidemick Evils of the present Age,” the text is best known for its condemnation of popular forms of entertainment including theaters, taverns, and gambling. The manual targets the apprentice as the focal point for the moral improvement of society, not because he is most susceptible to vice, but because, Richardson suggests, he is more responsive to moral improvement than his social betters. Although Richardson's early writings—including the Vade Mecum—proved only moderately successful, Richardson's business sense was astoundingly acute, and during the 1730s he rapidly shot to the top of the publication industry. Richardson joined, and soon found himself headmaster, of the "Stationer's Company," the guild for all Englishmen involved in the book trade. He became known as one of the best printers in all of London, and as his fortune grew he began to climb the social ladder as well. He purchased a country house, and entertained intellectuals and friends that included Samuel Johnson, the actor Colley Cibber, and even the Speaker of the House of Commons, Arthur Onslow. During these years Richardson began, ever so modestly, to write fiction and essays. At some point in the 1730s he was commissioned to write a sequence of fictional letters, a form relatively popular among serial publications in its time. This collection has become known as Familiar Letters on Important Occasions. During this time it is apparent, as Richardson's notebooks state, that he began to envision the possibility of writing a novel in the form of a sequence of letters. Utilizing a true story he had heard elsewhere as the basis of his plot, Richardson began to write his novel Pamela in the winter of 1739, and the novel was published a year later, when Richardson was 50 years old. The plot of Pamela is quite simple. Pamela Andrews is a young maidservant in a wealthy household. The son of the household, Mr B., conceives a passion for her and repeatedly schemes with his servants to have his way with her. She protects her virtue successfully and B., moved in her favor when he reads the journal she has been keeping in secret, proposes to her. The two then live happily ever after. The popularity of Pamela was mainly due to the effective technique of revealing the story through letters written by the protagonist. Because this was combined with the moralistic nature of the story, which made it acceptable for the century's rapidly growing middle class, the book became a publishing sensation. The epistolary form was an innovation that was a source of great pride for Richardson. Pamela thus helped reinvent a literary genre, and moreover it did so in a way that aided its readers in the instruction of virtue. Nevertheless, many contemporary readers were shocked by the more graphic scenes and by some questionable behaviors of the characters; it was easy to regard Pamela, for example, as a scheming young woman trying to gain higher social status by making a nobleman marry her. Henry Fielding parodied Pamela twice: once anonymously using the same epistolary form in Shamela, and again with Joseph Andrews, which tells the story of Pamela's brother Joseph and his efforts to protect his virtue. 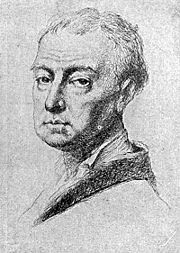 Richardson also wrote two later epistolary novels, Clarissa: Or the History of a Young Lady (1748) and Sir Charles Grandison (1753). Of the three, Clarissa has generally been the most highly regarded by critics; in it, Richardson uses the epistolary form with great effectiveness, creating characters that are psychologically convincing while reflecting on some of the most important moral questions of the eighteenth century. It is widely considered to be one of the greatest novels of the eighteenth century, and a milestone in English literary fiction. Sir Charles Grandison, published in 1753, was Richardson's attempt to create a male model of virtue. Many modern critics have found that he was less successful here, noting that Sir Charles is not a very interesting or sympathetic character and that his confident sense of virtue can be overly sentimental to the modern reader. In addition, the plot is relatively less eventful and the moral lessons less ambiguous than in Clarissa. However, in its own time Sir Charles Grandison was a massive success in England. Following the publication of Grandison, Richardson, already quite an old man, retired to his home outside of London and died in 1761. Clarissa, Richardson's masterpiece, was published in 1748, and later published in revised editions. It is an exceptionally long novel; excepting novel sequences, it may well be the longest novel in the English language. The full volume of its third edition, the edition most extensively revised by Richardson, spans over 1 million words. One of the most beautifully written of all epistolary novels, Clarissa is also notable for its extended ventures into philosophical and ethical questions, making it one of the most insightfully instructive works of the eighteenth century. Clarissa Harlowe, the tragic heroine of Clarissa, is a beautiful and virtuous young lady whose family has become very wealthy only in recent years and is now eager to become part of the aristocracy by acquiring estates and titles through advantageous pairings. Clarissa's relatives attempt to force her to marry a rich but heartless man against her will and, more importantly, against her own sense of virtue. Desperate to remain free, she is tricked by a young gentleman of her acquaintance, Lovelace, into escaping with him. However, she refuses to marry him, longing—unusually for a girl in her time—to live by herself in peace. Lovelace, in the meantime, has been trying to arrange a fake marriage all along, and considers it a sport to add Clarissa to his long list of conquests. However, as he is more and more impressed by Clarissa, he finds it difficult to keep convincing himself that truly virtuous women do not exist. The continuous pressure he finds himself under, combined with his growing passion for Clarissa, forces him to extremes and eventually he rapes her. Clarissa manages to escape from him, but remains dangerously ill. When she dies, however, it is in the full consciousness of her own virtue, and trusting in a better life after death. Lovelace, tormented by what he has done but still unable to change, dies in a duel with Clarissa's cousin. Clarissa's relatives finally realize the misery they have caused, a discovery that comes too late for Clarissa. All links retrieved August 17, 2015. This page was last modified on 17 August 2015, at 22:33.